Small Steal Your Face pilot wings.These stealie wings look great! 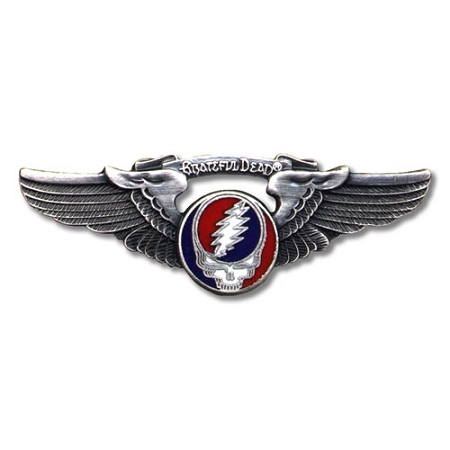 Officially licensed by the Grateful Dead® and made by a deadhead pilot,these wings will keep you flying high. Wingspan measures approx. 1.75" .